What began as a tough three-way battle turned into a two-athlete race for the Week 23 top vote-getter for the PrepsUtah.com player of the week for the 2015-2016 school sports year. 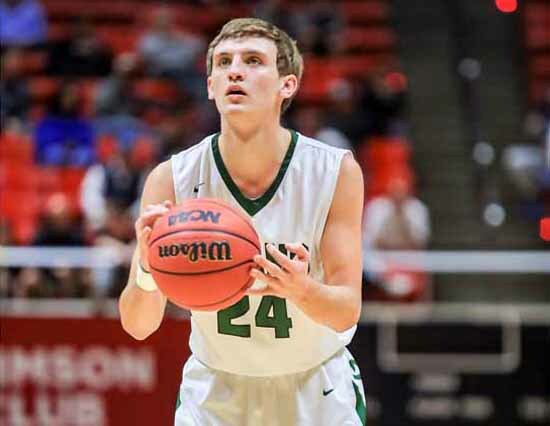 By the time the week of March 7 was up, more than 10,000 votes had come in and Olympus High boys basketball star Matt Lindsey had pulled away from the field. Lindsey received slightly more than 55 percent of the votes to win the week, with AJ Bollinger of Timpview running second at close to 38 percent. Tyus Millhollin of Diamond Ranch, Schyler Shoemaker from Bingham and Preston Sanchez of Copper Hills split the remaining votes. Lindsey delivered a huge performance for the Titans in the 4A state semifinal with 31 points and six rebounds after averaging 13 points per game for the season. 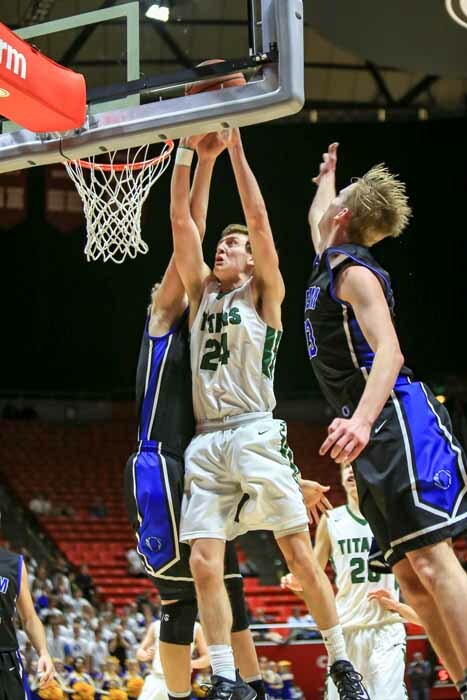 He and his teammates stepped up once again in the state title game, knocking off Timpview to win the school’s first-ever state boys basketball championship. The Week 24 Preps Utah player of the week poll gets us into the spring sports season for the first time, as it includes five softball players who are off to a fast start this year. Visit our website to vote for one of the following: Gabby Beckstrom (Spanish Fork), McKenzie Cottle (Fremont), Jaiden Smith (Hurricane), Taylor Sorenson (Box Elder) or Taylei Williams (Juab). Vote now by scrolling down the center column of the Preps Utah website to the poll at www.prepsutah.com. Voting ends at noon Monday, March 21.